The 2 relief models show the median and frontal section of the head on baseboard. This two views of this high quality model shows the important anatomical structures of the head in full detail. 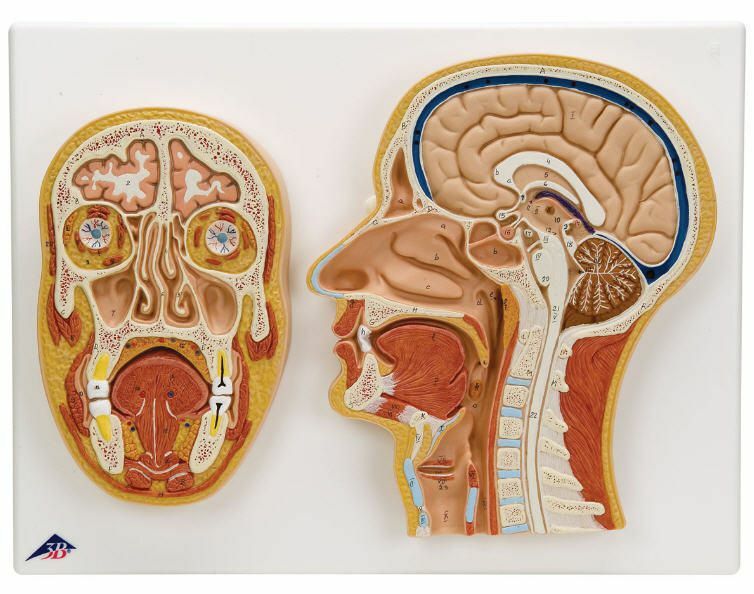 Important anatomical structures include cross sections of the brain, spinal cord, and sinuses of the human head.